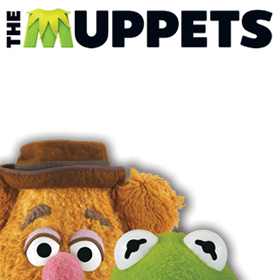 It's time to play the music, it's time to light the lights... it's time to see The Muppets as wall stickers tonight! Bring home the magic and memories of The Muppet Show and The Muppets movie with our officially licensed peel & stick wall stickers. Our giant wall decals of Kermit, Miss Piggy, Fozzie, Animal, and the rest of your favourite characters will transform any room into a place you'll love. RoomMates wall stickers are easy to apply: just peel & stick! They stick securely to any smooth surface, and are fully removable and repositionable. You can use them practically anywhere, from living spaces to bedrooms. And when it's time for a change, just take them down and start over again.